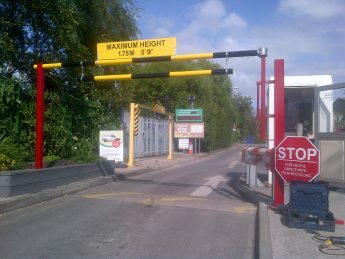 Our vehicle barriers can span openings of 9 metres (single leaf) or up to 18 metres (double leaf). Finished in a high quality powder coating and available with pedestrian skirting. 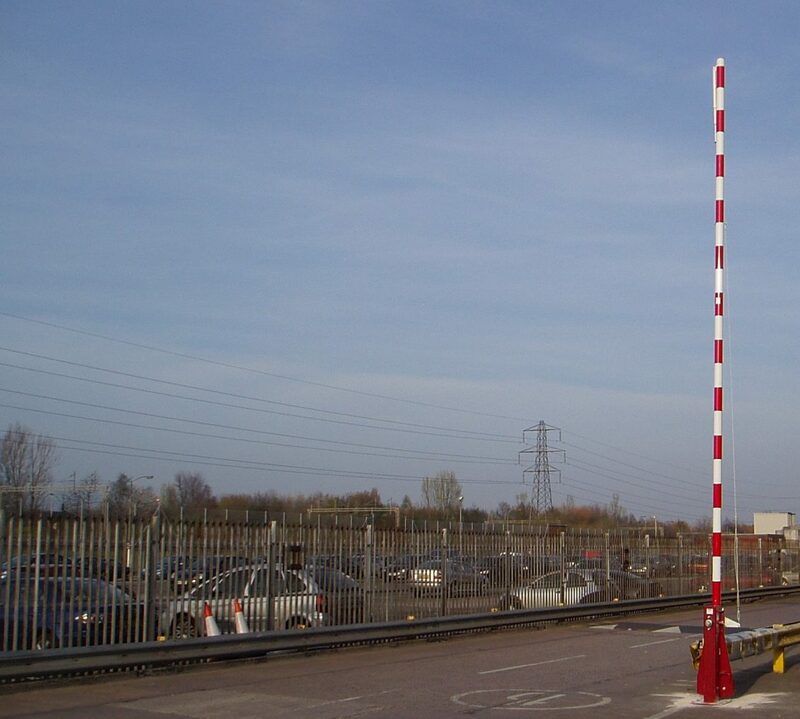 MDS manual rising arm barriers are quick to install, simple to operate and very cost effective. 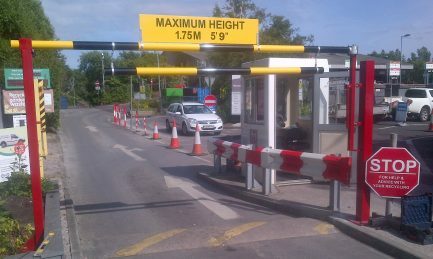 Ideally suited to staff car parks or areas with a manned security presence. Our latching mechanism latches the rising arm barrier up or down without the need for locking. 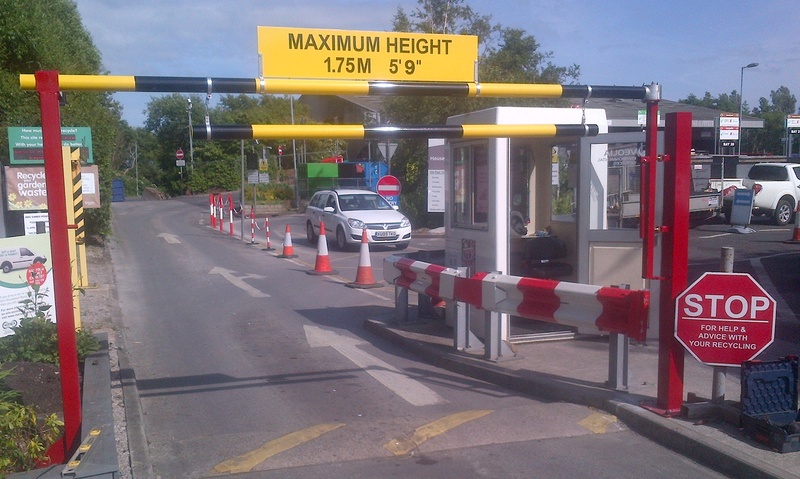 Additional counterweights allow ease of lifting and smooth manual operation of the vehicle barrier. 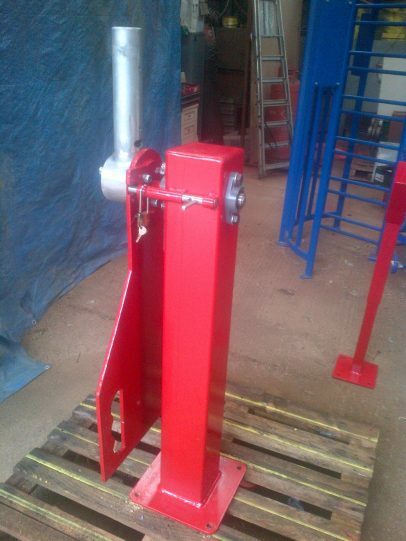 Rust free powder coated finish is available in red/white, yellow/black or in your own choice of corporate colours. 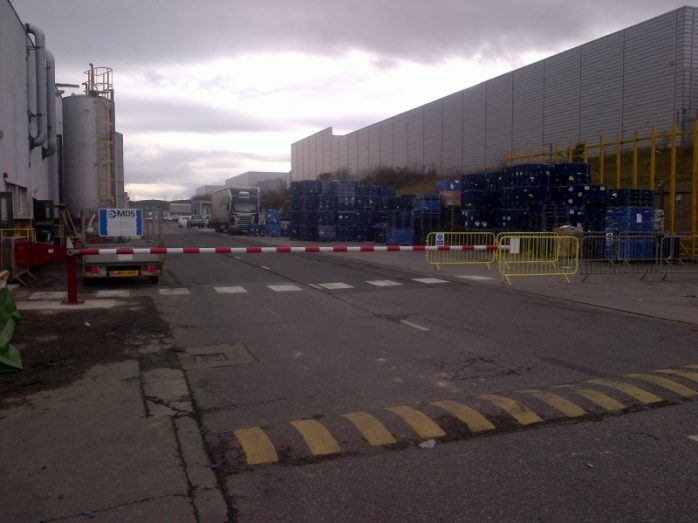 Our manual rising arm barriers can span openings from 3 to 7 metres and can be padlocked in the up or down position. 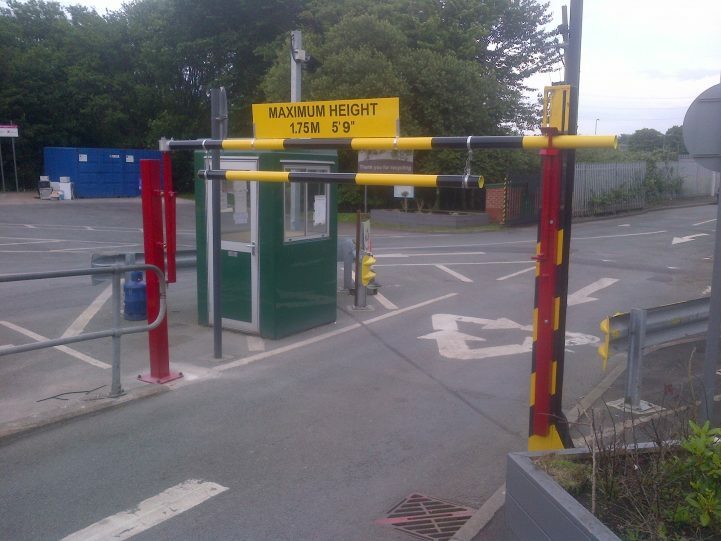 A folding pedestrian bottom skirt is available in widths up to 7 metres for complete access control. Our rising arm barrier is optionally lockable at the pivot post as well as at the end rest when in the lowered position. Available in bespoke corporate colours and with additional signage. 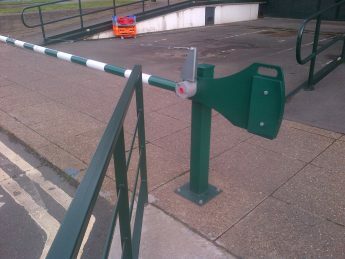 MDS vehicle barriers come complete with tip support, padlocks and fixings. Or take the hassle out of installation of your manual barriers by opting for MDS professional installation services. 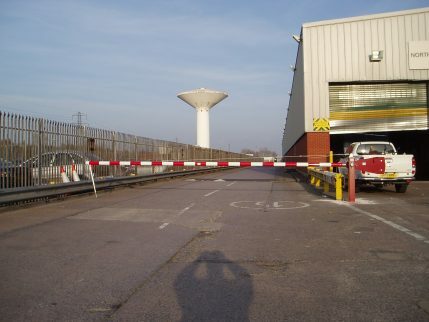 We can also carry out the ground works necessary to prepare the foundations for vehicle barriers.